Ariyaseela Wickramanyake used to say that we all carry in each of us a microchip of our entire civilization, which could be tapped. The idea is that we as a nation could repeat our greatness over and over. That is the only explanation for our spectacular victory at the last war which propped up from nowhere. So we cannot be just written off. The email was sent by Gamini Gunawardena, Sanskrit scholar, retired DIG, father-figure, friend and occasional contributor of comments to newspapers. Too ‘occasional’ I might add. The above contention, though, could well be articulated by any patriot in any country, especially those that have survived all manner of invasions. There are nations that survived and those that did not and we could surmise that the former could perhaps attribute their survival to the presence of civilizational microchips in heartbeat and sinew, folk gaze and folk archive. We ourselves suffered for 500 years under the jackboot of colonialism. Those who invaded us were armed with guns and moral licence issued by the Vatican in the form of Papal Bulls. That’s a history that ought to be but is not taught in our schools. Certain things are swept under the carpet in the name of ‘inter-religious amity’ but those who make such decisions fail to realize that censorship and half-truths amount to mis-education and in the end do a huge disservice to the faiths themselves. Catholicism ought to be embraced by the convinced not out of ignorance but out of a clear understanding of the history of the Catholic Church and that this is not the fault of Jesus Christ. Yes, we came out of all that. Today we don’t have to contend with Papal Bulls but this does not mean that the core of who we are is not under threat by those forces that would obliterate our culture in order to facilitate all manner of takeovers. This is why Gamini Gunawardena’s email reminded me of something that a batch mate of mine from Peradeniya Campus told me a few days ago. We are too old to give anyone blank cheques, especially politicians. We are mature enough not to get emotional about things political. We were talking about politics in general and Mahinda Rajapaksa in particular. He rattled off three examples. On one occasion, the President had said divyaloketa giyath maubima amathaka karanna epaa (even if you go to heaven, never forget your Motherland). 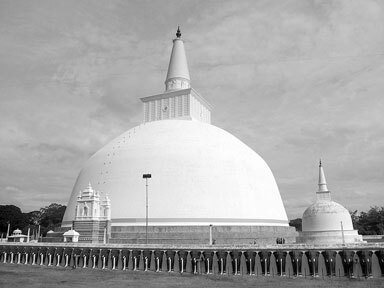 On another, he had said, nivaaduwata yanna anuradhapurayata; gihin balanna mirisawetiya ruwanweliseya, balala avith iskole eva gena igenaganna (go to Anuradhapura during the holidays, visit Ruwanweliseya and Mirisawetiya, come back and learn about them in school). There was a third that he mentioned: nivaaduwata yanna gamata, gihin aththa aththamma balanna (go to your ancestral village during the holidays; see how your grandparents are doing). These are things anyone can say but these are not things our leaders have said very often and certainly not in ways that make us believe the words were heart-born and not rhetorical devices. Politicians come and go. Some turn into Statesmen, some do not. They are admired for certain achievements and despised for their failures. Time does not move in predicted ways. Today’s victory is often followed by tomorrow’s debilitating defeat. It is prudent therefore to remember always that the most important thing is to preserve the integrity of civilizational cores, the foundation of who we are as a people. If our ‘entire civilization’ has a microchip and this contains archaeological artifact, it must include the Ruwanweliseya, the Abayagiriya Complex, Sigiriya, the magnificent irrigation system, the Kala Vewa, the Yoda Ela, the Galvihara Complex, etc. It must contain grandmothers and grandfathers, the relay of value and narrative from generation to generation. It must contain an umbilical tie to Motherland, to earth and creature, plant and flower, tree-line and wave-remnant. It must contain the Dutugemunu-Elara post-war moment of humanity as clearly as the principle of equality that Elara affirmed at the cost of a son in that tradition-defying historiography where winner loser was not painted as brute. And it must contain the story of Velivita Sri Saranankara Sangharaja Thera who did not counter Bull with Bull or bullishness with like bullishness, but simply walked a path of timeless worth prescribed by our Budun Wahanse, Siddhartha Gauthama. I don’t know how Mahinda Rajapaksa will be remembered by history. What is important to remember though is what he does not want us to forget for these are things that will outlast him, his government and the memory of achievement and failure.